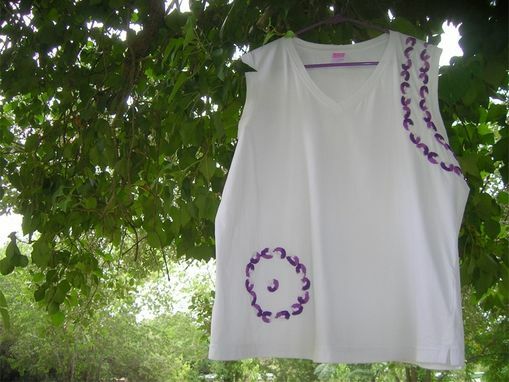 I bought a T-Shirt Blank that comes in many sizes from Dharma Trading Company. 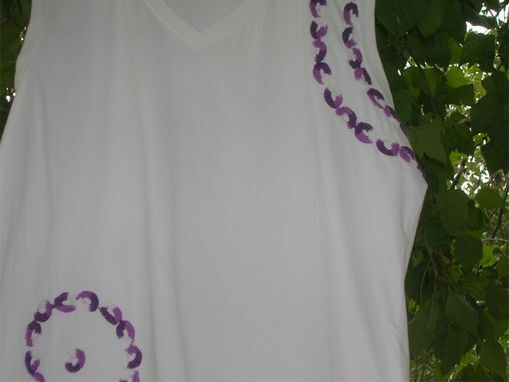 It is a feminine fit design. 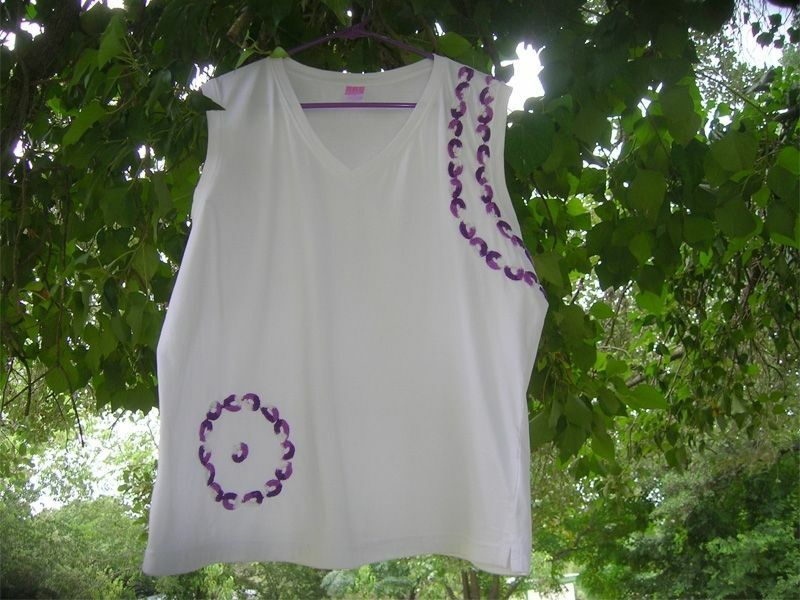 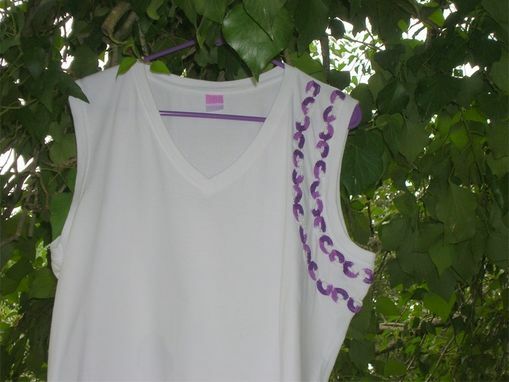 I crocheted round circles in cotton crochet thread and hand sewed them in a design I liked on the shirt. 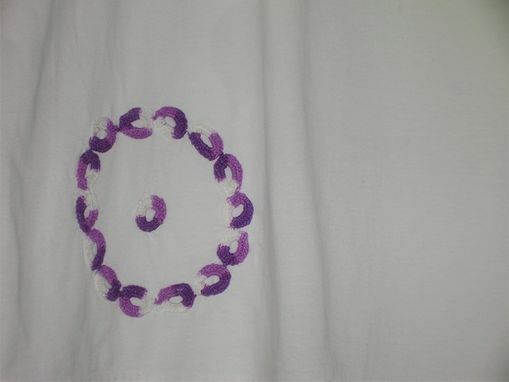 Each circle had to be sewn to the next first. I made this for myself and have had alot of compliments on this.